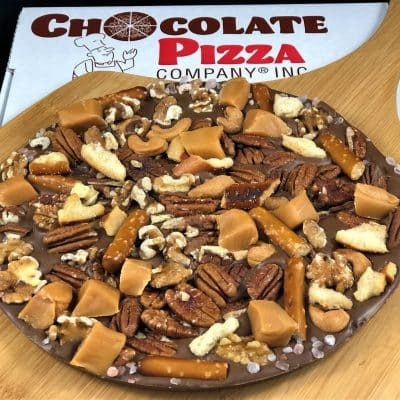 Pecan, almonds and walnuts top this classic Chocolate Pizza. 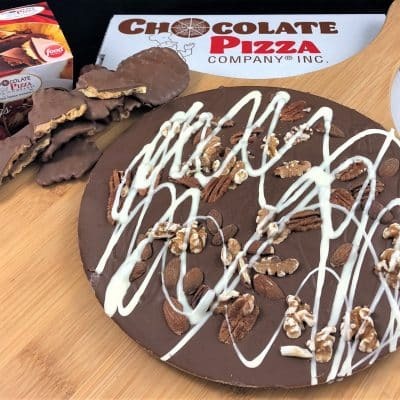 This one takes us back to our roots because it was one of the original Chocolate Pizzas. 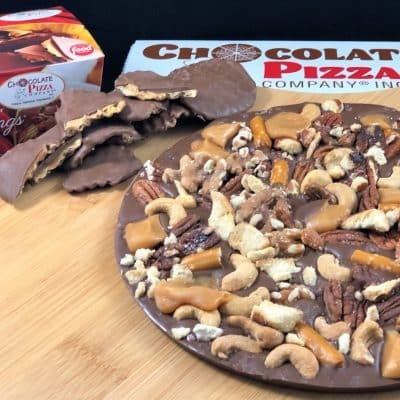 That’s right, for about 20 years, Chocolate Pizza Company made two basic types of Chocolate Pizzas – one with nuts (pecans, almonds, walnuts) and one without nuts. Finished with a white chocolate drizzle, sealed and served in a custom pizza box it comes ready for holiday gift-giving or birthdays, anniversaries or any special occasion. 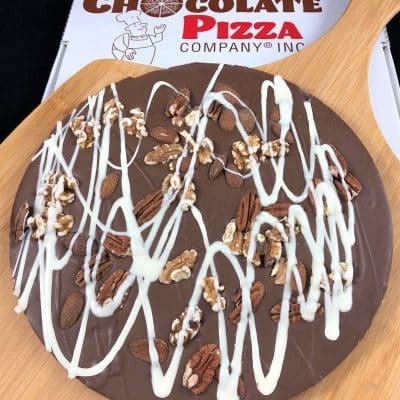 The combination of nuts – pecan, almonds and walnuts – give this Chocolate Pizza a wonderful flavor and crisp bite. Of course, these all start with our trademarked blend of gourmet milk or dark chocolate and homemade English toffee. We make the toffee on-site in small batches for freshness. Don’t forget to add our famous Peanut Butter Wings – rippled potato chips covered in creamy peanut butter and dipped in chocolate. 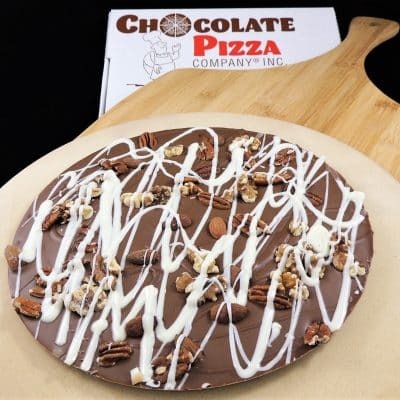 Enjoy a Chocolate Pizza classic! 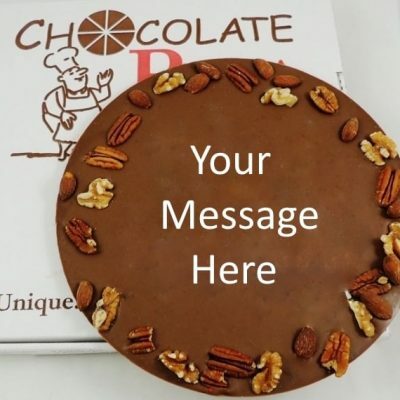 Note: a regular Chocolate Pizza is about 10″ in diameter and a large size is about 12″ in diameter.